Where do I start? I first met Jarek and his team through my sister’s wedding and their work is exceptional. They are friendly, patient and extremely reliable. Jarek and his team also respect the values (and chaos) associated with Asian weddings. Jarek did our wedding reception too and even cried at my speech (the dedication of the man!). I wouldn’t think twice about using Jarek for any event, whether a wedding or anything else. Highly recommend him and the Emotions in Vogue team. Finally, I think that it’s important to get on with your photographers. On a personal level, he is a lovely man. My sister, my hard-to-impress father, and my wife are all grateful for the various events that Jarek has done for us. Brilliant. 10/10 all day long! When people say things may not always work out the way you plan....the biggest snow day in London never seen before or since. No priest, no musicians, no car service, frozen champagne and no power at the venue! No idea how these guys made it. They simply went with the flow and captured amazing memories in most unlikely places. We never made it to our planned photo location so they stopped on they way to church and took unique photos in true Narnia style. Even venue photos came out stunning with only candles providing any form of light. I will never forget walking down the streets, barely keeping balance on the ice, looking back and seeing them totally covered in snow furs, with beaming smiles. I wish I had my camera in that very moment. You can’t put a price tag on their positive spirits and fantastic attitude! Thank you!!! Emotions in Vogue not only captured my wedding but also my brother’s. Both photographers were professional and it was a joy to have them both around during our wedding celebrations. I don’t enjoy having my picture taken and prefer to be behind a camera than in front of one unless it’s a silly selfie. However those guys have ways to make even the most awkward of us look good! Our wedding pictures are stunning, the photographers have an eye for detail and produce highly artistic shots. I would thoroughly recommend them to anyone! One of the best decisions we could have made during the entire wedding planning process was booking Emotions in Vogue. Not only did our pictures turn out beautifully - but both photographers were incredibly easy to work with from beginning to end. I would highly recommend meeting with Jarek and booking him for any upcoming events. He is incredibly talented and easy to work with. He helped us come up with some fantastic photo ideas for our Wedding. The pictures were fun to take and very high quality. He was very understanding and patient with us, which really helped me feel relaxed on the day. The experience and memories they’ve created for us are priceless! 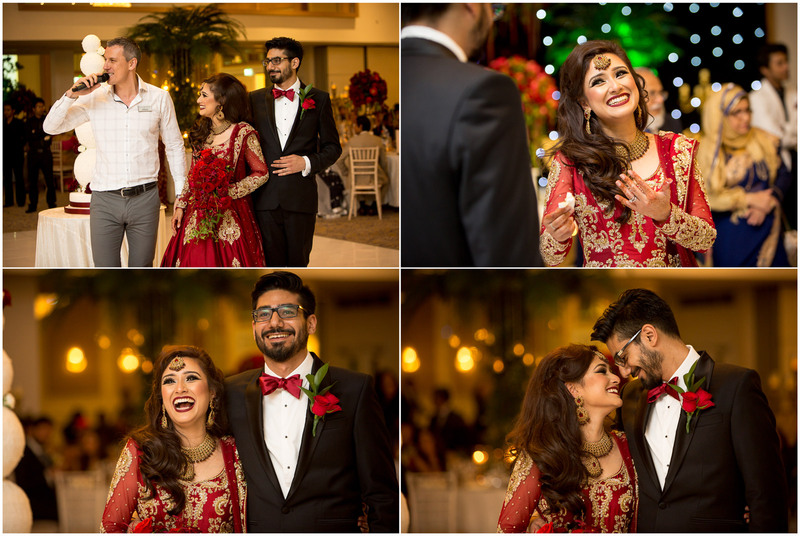 Emotions in Vogue captured every moment and detail of my wedding beautifully. They made everyone feel at ease and delivered so much more than I’ve asked for . I am so please with each one of my images and I am so glad I went with Emotions in Vogue 🙂 My wedding images are outstanding and all my friends are sooo jelous!. Thank you so much guys!! !